Each year the United States Soo Bahk Do Moo Duk Kwan Federation® holds a Silent Auction at the at the National Festival to help raise funds for nonprofit organizational needs. 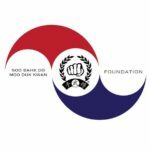 In recent years the Federation has entered into an agreement with the United States Soo Bahk Do Moo Duk Kwan FOUNDATION to manage and run the Silent Auction for the Federation. More information about the annual Silent Auction and how you can contribute item to be auctioned or participate in bidding may be available on the National Festival website and the FOUNDATION website. Contributions and successful bids are tax deductible when made payable to the FOUNDATION.